hey uuuu. check out my latest take on "One Dance" by @Drake! What does UUUU stand for? UUUU stands for "for you (four youse!)" How to abbreviate "for you (four youse!)"? What is the meaning of UUUU abbreviation? 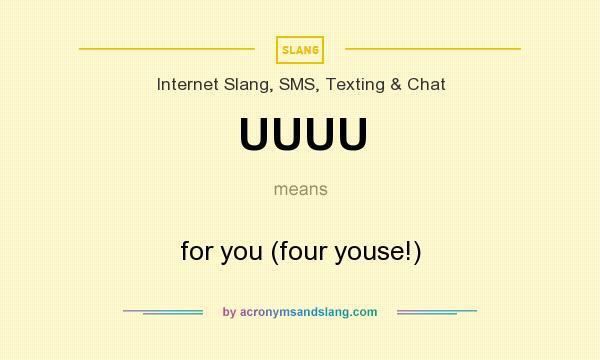 The meaning of UUUU abbreviation is "for you (four youse!)" UUUU as abbreviation means "for you (four youse!)"